If you use a Learning Management System (LMS), you know the power the platform has to enhance training effectiveness for organizations. The trick is knowing which features to look for. With over 700 options in the LMS market, how do you know which features are most relevant to your organization? You are an LMS user, and a satisfied one. Be reminded though that you should always look for more, as this is an ever growing area of eLearning. 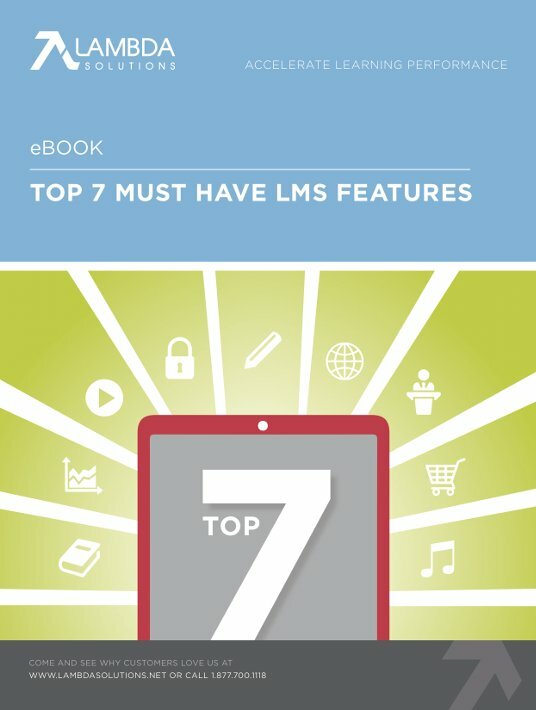 That is why studying the eBook Top 7 Must Have LMS Features by Lambda Solutions is totally worth it. It will give you pitched information on hot features, divided in categories like training, reporting, eCommerce, helping you decide which ones can boost your organization’s training program.